Parenting is hard and while I have a huge amount of respect for dads, this weekend is mothers’ day so this post is all about the incredible mamas I know. When I first had Rufus I was one of the first of my friends to have a baby. I was 26 years old and just trying to do the best I could. I have never been much of a ‘joiner’ so baby groups weren’t really something I bothered with. This meant that the only mothers I had to use as inspiration, support and guidance were my family members. I looked to my mum. My mum has always been a hugely important part of my life (aside from just birthing me). I don’t like to call her my best friend because she’s more than that. I know that she would do anything to support me and help with. This past week I have developed a pretty nasty cold and the last few days have seen my voice completely disappear. Yesterday she came over cleaned my bathroom and kitchen and then took the girls out for lunch. This is just the latest in a long line of wonderful things my mum has done to help me out. When I was five I was run over and she stayed with me in hospital until I was well enough to come home, she sat with me and held my hand when Eloise was born with Group B Strep and she was even in the room when Martha was born. My mum is the most important woman in my life and I am so proud to be her daughter. 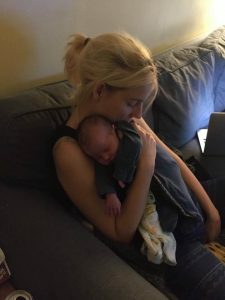 Over the last 6 years of my life as a parent I have had the joy of getting to know lots of other kinds of mothers and while I don’t want to name them as I will inevitably forget to mention someone wonderful, or I’ll embarrass the ones that I do mention so instead I’m going to describe them. There is the working mum – the mum who gets up each morning and gets herself dressed for a day in the outside world but also dresses her child and makes them breakfast. They then have to work a long day for not as good pay as their male counterpart and then they return home only to begin the thankless task of the bedtime routine. They love their careers but I don’t know of a single one of these mothers who doesn’t feel guilty about how much time they spend away from their kids. They shouldn’t feel guilty though. They are superheroes, juggling a complicated, chaotic and stressful life and still have room in their bucket to love their child. The stay at home mum – I am one of these mums and boy is it tough. I spend all day running around after my kids and get very little respite. I don’t go to the toilet in private, I rarely have time to just listen to music or the radio. I am constantly asked to play and be present without a lunch break, annual leave or even time to be sick. I do it because I want to. I do it because I am lucky enough to have a partner who earns enough to afford us this lifestyle. I do it because childcare is too darn expensive and I wouldn’t change it (especially now that I have a secret stash of chocolate just for me). Stay at home mums are hard working and highly skilled. A recent study was done which suggested that if we were paid for the hours we put in, and the skills we have, we would be earning over £80k per year if it was a paid role. I love my ‘job’ but if someone wants to start paying us I’ll be first in line. The step-mum – this is the mum who is treading that treacherous line between stepping up and being an engaged parent and trying not to over step. It is a difficult line and one that if not walked carefully can result in painful and irreparable damage to all the relationships involved. These mums are incredible. They don’t just fall in love with someone and start a life with them, they walk into a life already in process. They have to navigate the difficult emotions involved in divorce and the fact that the children will never call them mum, despite how much they do for them. Despite Disney’s best efforts to portray these women as evil witches, I think these women are the hero of the story. The single mum – this is the mum who does most of the work all alone. The mum who doesn’t have the comfort of knowing that at the end of the day someone else will walk through the front door and help share the load. I don’t know how these mums do it. There will be days where they don’t feel they are enough, but from what I’ve seen – they’re more than enough. They love their kids even when the nights are lonely and the days are long. These mums are warriors, fighting a battle all alone and they deserve our absolute respect. 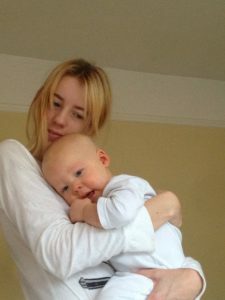 The mum with a chronically ill child – whether it is a mental concern or a physical one, being a mum to a child who needs extra support, time and attention is exhausting. It can also be very isolating. While other mums gather and allow their children to play freely, these mums can’t relax in the same way. They always have to keep one eye on their child. If it’s allergies that are the concern, they have to be vigilant at all times in case their child comes into contact with any allergens. 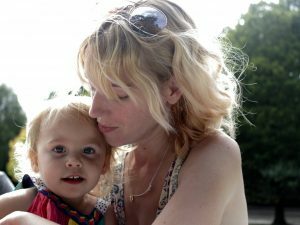 If they have mood issues, these mums must always be on the lookout for the signs that their child is about to have an episode. These mums are not only mums but they are also experts. They spend their evenings reading articles and studies on everything that relates to their child. They will have spoken with dozens of healthcare professionals and they will have mountains of journals charting their child’s progress. Motherhood is full of guilt, anxiety, stress and also moments of pure joy. Society is constantly telling us that we could/should be doing better. Our homes should be cleaner, our food should be organic, our meals should be homemade, our anger should be squashed, our kids should be constantly stimulated by educational and productive activities and no matter what we do we always seem to fall short. But we are mothers, we love our children and would do anything to help them be happy, well adjusted people. We’re all doing our best and we should all be proud in that. Raising children really does take a village so let all the mothers be a village for each other. Let us reach out and offer a helping hand, a shoulder to cry on and as I have in my house, a sofa to vent on. To all these mums and all the others I may have missed, to all the mums who’ve been doing this for a while and for those who are just starting out – I wish you all a very happy mothers’ day. Where has all the kindness gone?